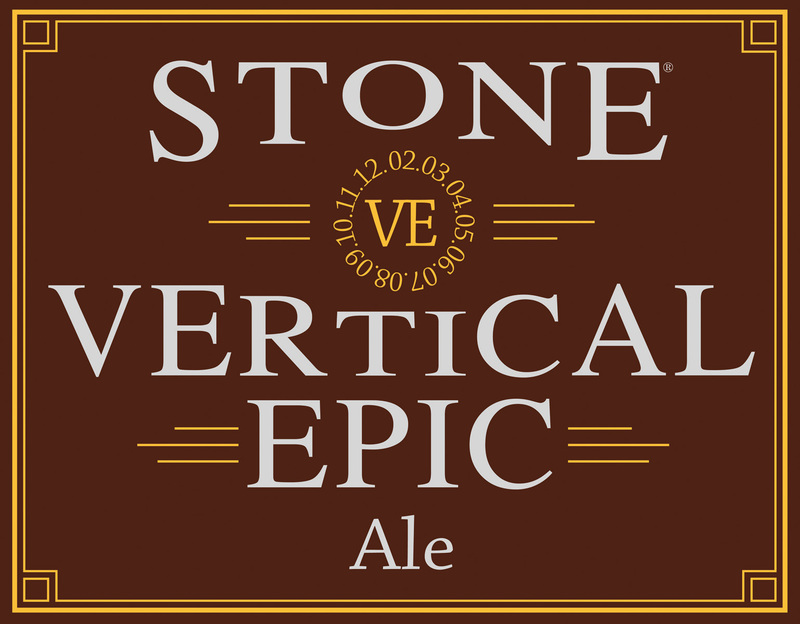 I’m not exactly sure what about Stone Brewing’s Vertical Epic series excites me. Maybe it’s the fact that arrives once a year, with each years release date is on the same numbered day and month of the release year, this year’s release falling on October 10, 2010. Maybe it’s because for each release, Stone tries brewing something highly original, even by their standards. Maybe I’m just a slave to their particular hype. Especially since I didn’t think the first Vertical Epic I tried, their 8.8.8 was all that special. A solid Belgian Strong Ale to be sure, but nothing really noteworthy, despite their best efforts. However, last year’s 9.9.9 was a mighty tasty, roasted Belgian porter with all sorts of lovely flavors and nuances. So with high hopes for this year’s version, I bugged my local San Mateo BevMo! for days after October 10th, until their shipment came in. Thankfully, they had stashed a box up front for me and a few other people who had been pestering them about it, and so I picked up three bottles to try every few months as the flavors evolve over time. Stone’s website describes Vertical Epic 10.10.10 as Belgian Strong Pale Ale brewed with pale malt and triticale (a cross of wheat and rye), hopped with German Perle hops, and steeped with chamomile during the whirlpool stage. A juice blend of Muscat, Gewurztraminer, and Sauvignon Blanc grape varieties was added in the secondary fermentation. And give them credit, it’s a very unique, memorable, and most of all, delicious brew. I’m sure if it’s a good idea to age it that long, since must white wine is typically something not aged for more than 2-3 years, and there weren’t really any rough edges in the flavors to mellow out over time. Drinking this is lot easier than describing it, as it has a unique character all to its own. The white wine grapes are pretty up front, complimented by a nice clove spiciness, and a tea-like bitter finish. I also picked up an interesting floral component, which may be from the chamomile. What is Chamomile? I had to look this up myself and found it is daisy-like flower which traditionally has been used to cure sleeplessness, anxiety, and diarrhea. Anything that makes you relax and doesn’t give you diarrhea is probably a good thing.